Pokemon Go is the latest big thing in mobile games. Graphic copyright Niantic. Tips and tricks available at the end of this article. If you have been on social media recently, you’ve already become aware of something called Pokemon Go, based on the world of Japanese Pocket Monsters or Pokemon. If you haven’t, you may have been surprised by families, college students and others cutting through your lawn or hanging around various landmarks after-hours. 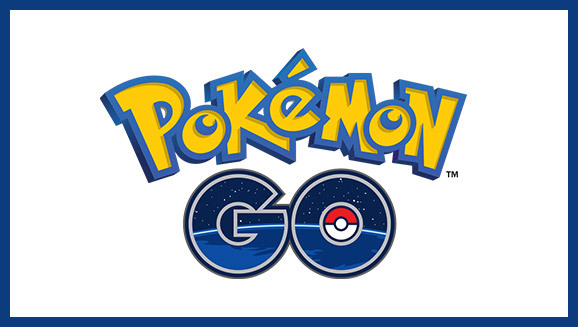 Released Wednesday July 6, 2016 by Niantic Inc, the game is an “augmented reality” game in which players attempt to catch Pokemon to compete for control of virtual spaces known as gyms. The game takes people to various locations in the real world similarly to a scavenger hunt. The difference is that the items are virtual items in an augmented reality. Augmented reality is similar to virtual reality except that instead of being completely immersed in an artificial environment, characters and objects are projected onto your device’s screen as it displays a camera view. In Pokemon Go, Pokemon such as Pikachu are distributed across the world using a Google Maps like interface. As you travel in real life, your location is updated on the virtual map and hidden Pokemon become visible for you to catch using your mobile device. In order to catch your quarry, you also need to collect objects like pokeballs, candy, lures and incense. These are obtained from either an online store or by swinging by points of interest around the city called pokespots. Pokespots are generally things like monuments, churches, parks and other places that might interest a visitor. In this way, it encourages the user to see culturally significant places in their own community, generally on foot. Once you’ve caught enough Pokemon to level up to level 5, it’s time to find a pokegym to put your Pokemon up against those of your friends and neighbors. Upon reaching level 5, each “trainer” selects a team, red, yellow or blue, and work together to control local gyms. Gyms are also pulled from points of interest, but are fewer in number. By successfully controlling a gym a player can earn daily in game coins to spend in the online store. Users can also spend real money to buy the coins as well. If you’ve seen people wandering seemingly aimlessly around downtown Macon, staring at their phones, it is likely they have caught the latest fad and instead of texting are looking for Pokemon and pokespots. One area in which this games excels is that it encourages physical activity to go from place to place. The location of most spots is not convenient to cars and walking is often rewarded with more opportunities for collecting monsters and items. It is possible to do some of this while driving, but alone it is quite dangerous and often times a car moves to fast to register the walking pace needed to activate some of the game’s features. If you are interested in playing, it is available from the Apple app store as well as Google Play. They are also offering a watch-like device that allows users to get game notifications without having to open their phone. It is current not available on Amazon. There is also a device called the Pokemon Go Plus which allows users to receive game notifications without having their phone open. It is currently back-ordered on Amazon. We have also compiled some simple tips for those who are new to the game or may be confused about some of the in-game features. If you want to start with Pikachu instead of the normal three starter Pokemon, you can accomplish this by driving away from your three starter options when the game begins so that they have to respanw. If this is done four times, Pikachu will be added to the choices. You start with a large number of pokeballs and you will get more as you find pokespots and level up, so don’t be afraid to miss as you practice throwing. To register a capture, you must hit the Pokemon before the pokeball hits the ground. Center the Pokemon in the camera view and aim for the center of the circle. The closer to the center, the more experience you will gain with an “excellent” bonus earning an extra 100 experience. The color of the shrinking circle shows how hard the Pokemon is to catch. A green circle means the Pokemon is not experienced and should be easy. A dark red circle means that it is likely a rare Pokemon with a lot of experience. If you have treats like “razz-berries” it might be time to use them on those Pokemon. To get drops from pokespots, spin the coin shaped icon when you are close enough for it to register (about 10 meters or so). If you see bits of grass flying around, there is generally a Pokemon hiding in that space on the map. If you see a pokespot giving off confetti-like particles on the map, that means someone has used a pokelure. A pokelure is a store bought item that attracts Pokemon for every user near a pokespot. Incense attracts Pokemon to the player who used it only and will do so even if the player is inside or stationary. Lucky eggs double experience for 30 minutes for anything that earns experience. It is also a store purchased item. Pokemon can be leveled up and evolved. Leveling up consumes some of your collectibles and give the Pokemon more CP or combat power. Evolving changes the Pokemon into a more powerful form. Some Pokemon cannot be evolved, as they only have one form, or they have reached the most power form for that species. When fighting in gyms, a victory alone does not give you control. A victory against an opposing color’s gym lowers their prestige for that gym. That team’s prestige needs to go to zero before you can claim it for your team. A victory in your own team’s gym raises your own prestige and gives experience and collectibles. Once you control a gym, you need to garrison it with a Pokemon. Do not use your strongest Pokemon, instead use a weaker on, as you will want your strongest to take down opposing team’s gyms. If your Pokemon become damaged in a fight, they have to be healed with items. These items start dropping from pokespots at level 5. If you have too many Pokemon of a type or have some weak ones, you can convert them into candies of that type by “transferring” them in game. The transfer button is at the bottom of the character’s page. The footstep icons on the nearby Pokemon screen are a range finder. 3 footsteps means up to a kilometer away. 2 mean up to 100 meters and 1 means within 10 meters. If there are no footprints, you are right on top of it and it should spawn. There are additional tips and tricks and if you have one, register and put them in the comments. Also, if you have a question you can ask here as well.